Let’s face it – dogs are usually curious, and it is very easy for them to wander away without you noticing. Having a tracker can be very useful in these types of situations. Garmin comes with the TT 15 Dog Device, that is equipped with a GPS/GLONASS receiver. It uses 18 levels of constant and momentary stimulation, plus audible vibration and tone activated from the Alpha 100. The unit is also compatible with the Astro 430 and 320 models, for tracking only. It is rugged and water-resistant to 10 meters (33 feet). The Garmin dog tracker comes with a 1-inch red collar strap and is especially useful if you need to train and track hunting dogs. It is also equipped with LED beacon lights and a Rescue mode which you can operate remotely, to help you find your pet even in low-light conditions. The battery is designed to last between 20 and 40 hours of usage, and the range covers 9 miles. This product does not come cheap but is offers high-quality tools for dog owners who need to do serious training and tracking with service animals such as hunting dogs, or search and rescue dogs. Combined with the Alpha 100 or Astro 329 models, this unit’s GPS/GLONASS tracking helps you locate your pet with exceptional specificity. This device is quite easy to set up and use, according to the most customers who bought it. First, you need to install the battery in the handheld device and charge it. Then, it’s time to charge the dog collar unit. After turning on both devices, you need to acquire the satellite signals, attach the collar and you’re good to go. Moreover, the product comes with a very detailed user’s manual, so there is no chance for you to go wrong. First of all, this model is water-rated to 10 meters, and it is rugged enough to manage an active dog’s lifestyle. 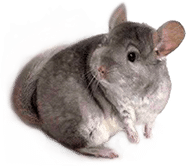 Moreover, the unit offers 18 levels of ongoing or temporary stimulation, and it also includes audible tone and vibration tones which you can customize according to your dog’s training regimen. One of the most important aspects where these types of devices are concerned is the battery life. You do not want it to run out before you have the chance to locate your pet. This unit comes with a rechargeable Lithium-Ion pack that is also replaceable. The battery life is between 20 and 40 hours. Another essential feature for products in this line is the range the device is capable of following a target in. You will be happy to know that the TT 15 model offers you a range of 9 miles, which is quite a wide area covered. This model measures 3.5 inches in width, 1.75 inches in height, and 1.85 inches in diameter; the mini version is 3.1″W x 1.8″H x 1.4″D. It has a weight of 7.3 oz for the transmitter and antenna, and the total one, with the collar, is 10.0 oz. The neck size of the dog should be minimum 9.5 inches in circumference. You get a 1-inch red collar strap in the pack, that is replaceable. 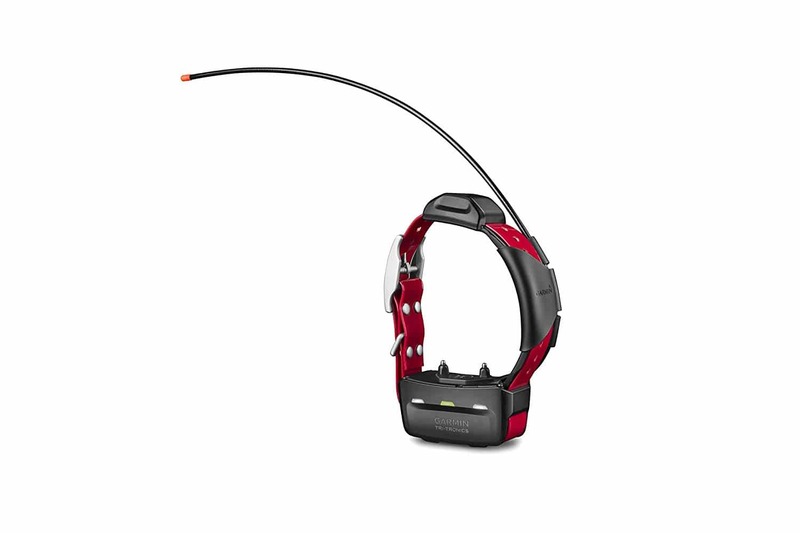 If you order the Garmin GPS dog tracker with a rechargeable lithium-ion battery, you also get a one-inch red collar strap, an 18.5-inch standard antenna, and a 22.5-inch extended-range antenna. In addition, you will also receive a charging cable, an AC adapter, a vehicle power cable, a contact point set with a wrench, and the user’s manual. Although a bit pricey, customers love this product. First of all, they trust the brand which has not let them down this time either. Second, many buyers state that they have been using this unit for quite some time, and it still works great, even in the toughest conditions. Another feature that impresses is the battery life which holds up even after years of usage. Also, owners mention that their dogs respond better to voice control after using this gadget. If there is anything to improve, other color options for the collar would be nice. Also, if there were a way to get rid of the antenna, without reducing the device’s performance, some customers would be happier. Still, overall, this is a highly appreciated product which does exactly what it’s supposed to do. 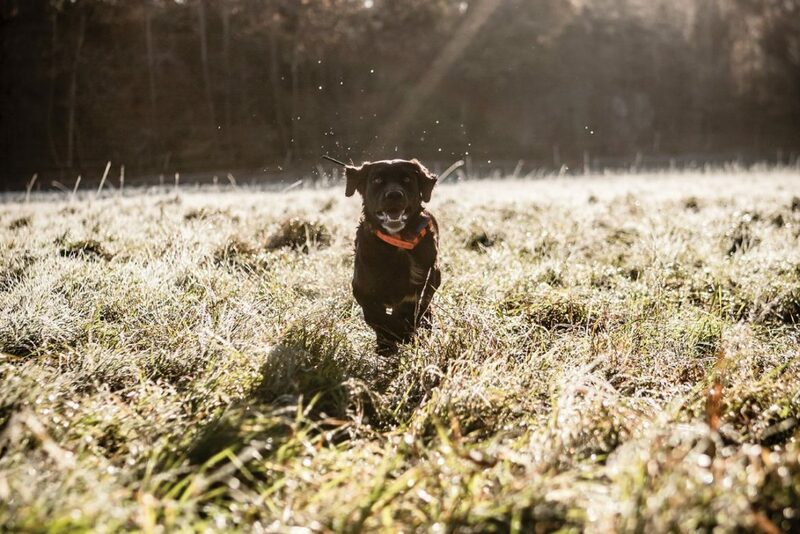 Garmin has thought about the hunters or dog handlers who need a smaller collar to find their dog’s location and at the same time, about the dogs that need a little stimulation to bring their attention back to the activity at hand. Pairing the TT 15 model with the Alpha 100, you get both train and track capability. You can follow exactly where your dog has run a rabbit to, and correct it to return using the predetermined stimulation levels from 1 to 6 or using linear stimulation with progressive changing from level 1 to 18. If you pair the TT 15 with the Astro 320, you can track the location of your dog, but you do not have any training options. The high-sensitivity GPS/GLONASS receiver holds on to satellites in more complicated terrains and helps you obtain the location of your pet faster. You can also opt for the TT 15 Mini, which is suitable for smaller dogs such as Beagles or some terrier breeds which have a neck circumference of up to 9.5 inches. This model has a range of up to 4 miles.